This innovative branch of medicine combined with it’s ground breaking therpies offers hope and results to patient’s suffering from brain injuries and diseases/disorders that affect the brain and central nervous system. Our doctors are expertly trained and perform cutting edge neurologic diagnostic and treatment options to address the individual needs of our patients. Because every patient is unique, we provide each patient with specialized care plans that include intensive regime of in-office therapies and simple at-home exercises that are all designed to meet the patient’s specific conditions and treatment goals. Treatment will begin immediately after diagnosis and continue with multiple sessions over a specified time periods. Progress is measured during each visit to provide feedback and allow for refinement of the plan as necessary to achieve the desired results. 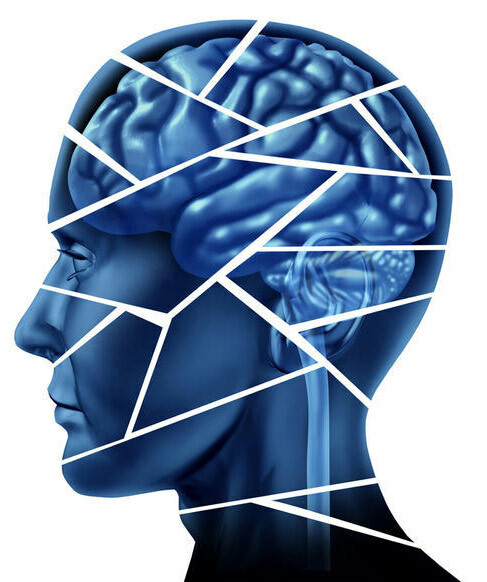 The Road to Maximizing Recovery The term “Traumatic Brain Injury” is often misleading: many of these injuries as the result of mild traumas or accidents and more often than not, the problem is rarely confined to effects on the brain. The effects of the injury can extend to all areas of life and can make day to day atasks and activities difficult, compromising physical ability and performance, and even diminishing self esteem and hope for the future. It has physiological, neurological, and psychological components which make these injuries challenging to both diagnose and treat. Skraitz Chiropractic offers its patients a unique and comprehensive approach to traumatic brain injuries to provide long term results while on the road to recovery. Through an indepth analysis of the patient’s symptoms and cutting edge diagnostic tests, our doctors determine the area of the brain that is damaged and develop a comprehensive treatment plan to address the source of the problems. By address the source of the problems, our approach gives real hope for achieving positive results and preventing reoccuring symptoms in the future. Symptom Reduction Parkinson’s Disease is a degenerative disorder of the Central Nervous System characterized by postural instability, tremors at rest, stiffness and a general slowing of movement. In the more advanced stages, these physical manifestations of the disease can be accompanied by cognitive and behavioral problems including dementia, sleep cycle issues, and depression. Skraitz Chiropractic uses research backed examinations and in-office diagnostic testing to pinpoint functional or cognitive brain impairments in Parkinson’s patients and then designs an individualized treatment plan to address their specific challenges and treatment goals. We help the brain itself restore impaired functions by encouraging targeted activity in affected areas of the brain to build new neural pathways to restore or enhance function and improve the quality of life for patient’s with Parkinson’s Disease. Patient’s with a diagnosis of Parkinson’s Disease under treatment at our facility know that while there is no known cure for this debilitating disease, there is hope for improved quality of life and reduction of symptoms. Restoring Independence The degenerative effects of Alzheimer’s disease and other forms of dementia can rob elderly patient of the life skills and independence to enjoy their golden years- and can also exact tremendous costs on family members who may become caregivers as the disease progresses. The signifcant memory loss, confusion, mood swings, and other signs of degernative cognitive conditions are not a normal part of aging, but rather the results of the progression of the disease. Like many types of age-related dementia, Alzheimer’s is characterized by reductions in the neurons in the cerberal cortex and other regions of the brain. There is no cure, but there is certainly hope for improvement in quality of life. Mental stimulation has been shown to slow the decline in patients’ mental skills. Successful treatment often includes activities such as playing chess, solving crossword puzzles or even simply changing routines- by taking a new route to work, for example, or using the non-dominant hand for certain tasks. The central nervous system stimulation therapies at Skraitz Chiropractic similarly encourage the developent of new connections between remaining nerons in affected areas of the brain to restore lost functionality. Our comprehensive diagnostic and treatment approach has demonstarted improvements for people with early and middle stage Alzheimer’s and other dementia diagnoses. Improving Impaired Functionality Parkinson’s Disease is a degenerative disorder of the Central Nervous System characterized by postural instability, tremors at rest, stiffness and a general slowing of movement. In the more advanced stages, these physical manifestations of the disease can be accompanied by cognitive and behavioral problems including dementia, sleep cycle issues, and depression. Skraitz Chiropractic uses research backed examinations and in-office diagnostic testing to pinpoint functional or cognitive brain impairments in Parkinson’s patients and then designs an individualized treatment plan to address their specific challenges and treatment goals. We help the brain itself restore impaired functions by encouraging targeted activity in affected areas of the brain to build new neural pathways to restore or enhance function and improve the quality of life for patient’s with Parkinson’s Disease. Patient’s with a diagnosis of Parkinson’s Disease under treatment at our facility know that while there is no known cure for this debilitating disease, there is hope for improved quality of life and reduction of symptoms. Expand Treatment Options to Improve/Restore Function A stroke occurs when blood flow to the brain is blocked, obstructed, or interrupted for any reason causing brain cells to die. This can result in the loss of mental and physical function. Once the immediate medical cause of stroke has been addressed, our goal at Skraitz Chiropractic is to help the patient regain as much lost physical and mental function as possible. We perform a function neurology assessment and examination, conduct broad based, integrated testing in our clinic to determine the degree of deteroriation in physical and neurological performance and to establish a basis for secondary testing and evaluations. Then we combine targeted central nervous system stimulation therapies with speech, language, physical, and occupational therapies in an effort to activate the brain’s inherent ability to rebuild neural connection and restore impaired function. Because diagnosis and treatment take place in the same clinic, we are able to begin treatment without delay. Through intensive, immerisive treatment regimens, we strive to achieve measureable results every day, often improving the lifes and function of patients in as little as one week*. *Every patient case is different and results delievered may differ in length of time or degree of improvement. Improving Attention and Concentration Abilities Attention Deficit Hyperactivity Disorder (ADHD) is characterized by a combination of inattentiveness, hyperactivity and impulsivity, is the most commonly diagnosed behavioral disorder in children. It can have a significant impact on a child’s quality of life, both in school and at home. ADHD is often aggressively treated with medication, but at Skraitz Chiropractic we believe that a diagnosis of ADHD need not be the signpost towards pharmacological treatments only. Our brain-based therapies can help improve the patient’s control over their symptoms and enable more positive, productive engagement in school and family activities. Additionally, we provide strategies, tips, and guidelines for parents, siblings, caregivers, and teachers that can be used to minimize symptoms at home and in school. We offer a broad range of diagnostic and treatment options, individualized to your child’s specific needs with the goal of significantly improving the lives and function of patients while reducing the physical and emotional burdens of patients, families, and caregivers. Maximizing Potential Every child is unique and no two children will learn information exactly the same way. It is estimated that 1 in 6 school aged children have some degree of learning disability that makes it difficult for them to excel in certain areas of academics. Skraitz Chiropractic aims to minimize these learning challenges and maximize each child’s potential. Dr. Timothy B. Skraitz is expertly trained in the diagnosis and neurologic treatment of childhood learning disabilities. Under his direction, the team at Skraitz Chiropractic performs a comprehensive evaluation of the patient’s symptoms and history and examines the nervous system starting with cognitive function. After identifying the area(s) of the brain that are impaired, a individualized treatment plan is developed to specifically target areas of the brain and nervous system that are underperforming. Throughout the treatment sessions progress is evaluated and measured to make any necessary changes in order to acheieve the desired results. Additionally, Skraitz Chiropractic offers in house speech and language therapy provided by Waterdam Academy for Speech and Language to help the patient overcome their specific learning challenges. Raising Expectations and Producing Encouraging Results Autism is a neurological disorder and developmental disability that appears in early childhood, usually before the age of three. While there is no cure for Autism, early treatment can improve the quality of life for patients and their families. The challenges that patients have with both verbal expression, non-verbal communcation and social interaction are related to differences in how different patients process information and how their brain synapses arrange and connect. At Skraitz Chiropractic, we are focused on early detection and treatment of Autism Spectrum Disorders. The earlier a developmental delay is detected, the earlier treatment can be provided, and the impact of the disorder is lessened. The latest statistics from the Centers for Disease Control show that 1 in 68 American children are diagnosed with Autsim. Early detection of developemental delay tests, such as the head-lag test, can be performed on a child as young as 3 months old. Through in office diagnostic testing, our doctors can pinpoint the areas of the brain that require treatment and can begin therapy on the first visit. We offer an intensive, individualized, and immersive patient engagement model that allows us to continuously measure progress and refine treatment regimens. Skraitz Chiropractic can help the brain itself restore impaired function by encourageing targeted activity in the affected areas of the brain to build new neural pathways to restore or enhance function and minimize Austim symptoms.